Perfect combination of home and location! Quality of construction, design detail and acreage cannot be re-built today for this VALUE. Buyers who like:built ins, beautiful HW, solid arched doors, custom FPs, crown molding, wainscoting and cathedral ceilings will love this home! 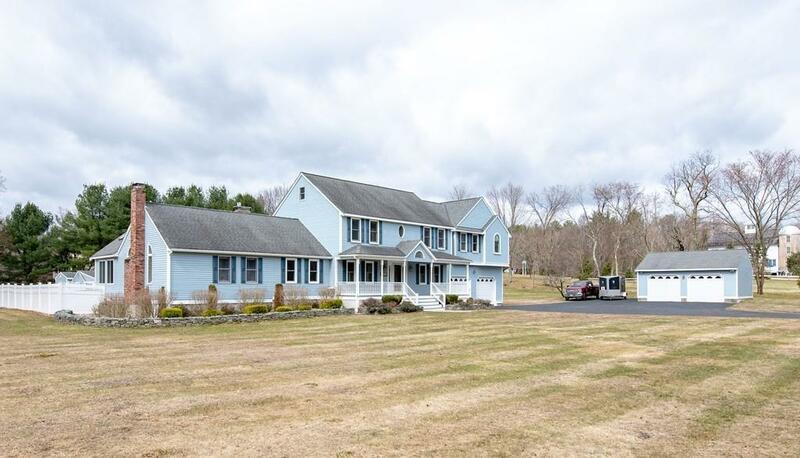 1st floor flows nicely: EIK with center granite island, walk in pantry, ss appliances, LR, DR, bonus room, home office and sunroom with walls of windows ALL with HW flooring and soaring ceiling heights. Two 1/2 baths and mudroom complete 1st floor. 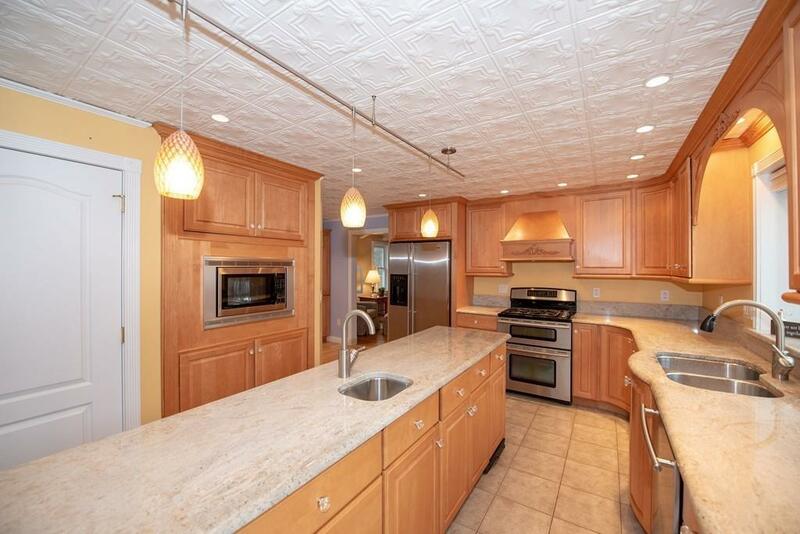 2nd floor boasts 3BR and 3FB with HW flooring and designated LR. MBR suite is spacious, open and bright with 2 WIC, sitting room, FP and attached bath with oversized tile shower! 3rd floor finished walk up perfect for 4th BR or storage. LL includes: finished rooms, bath, walk in cedar closet and additional unfinished space.! Enjoy your private oasis on composite deck, in-ground pool, pool house AND 5 car garage! 980 Main St. a wonderful place to call home. 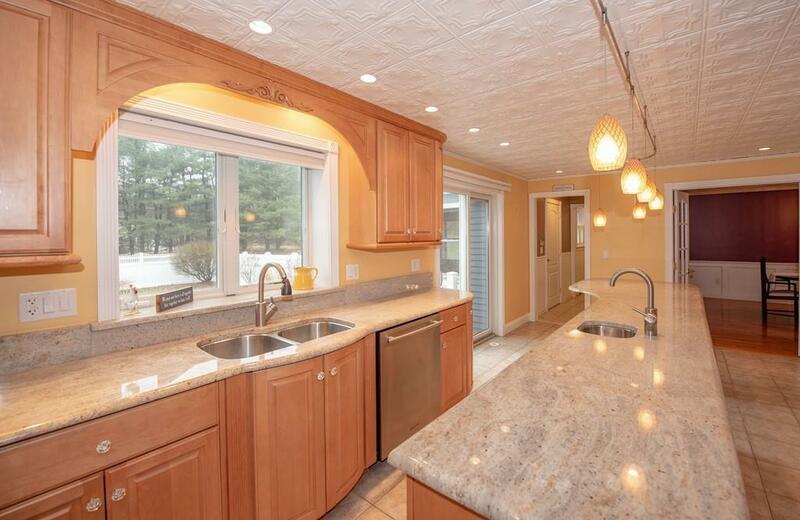 Listing courtesy of Jenepher Spencer of Coldwell Banker Residential Brokerage - Westford. Disclosures See items Attached To Mls: Title V Floor Plan Sellers Disclosure Plot Plan. 4th Bedroom On 3rd Floor. House Has 3Br Septic Additional Rooms Not Listed: Mudroom 2 Bonus Rooms in Lower Level 1/2 Bath 3Rd Fb On 2nd Floor See Floor Plan. 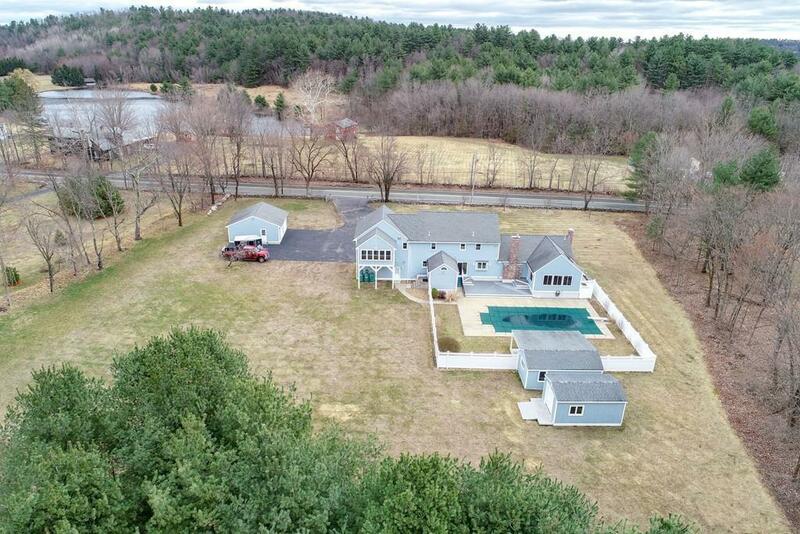 Listing provided courtesy of Jenepher Spencer of Coldwell Banker Residential Brokerage - Westford. The property listing data and information set forth herein were provided to MLS Property Information Network, Inc. from third party sources, including sellers, lessors and public records, and were compiled by MLS Property Information Network, Inc. The property listing data and information are for the personal, non commercial use of consumers having a good faith interest in purchasing or leasing listed properties of the type displayed to them and may not be used for any purpose other than to identify prospective properties which such consumers may have a good faith interest in purchasing or leasing. MLS Property Information Network, Inc. and its subscribers disclaim any and all representations and warranties as to the accuracy of the property listing data and information set forth herein. Data last updated 2019-04-21T06:48:57.75.